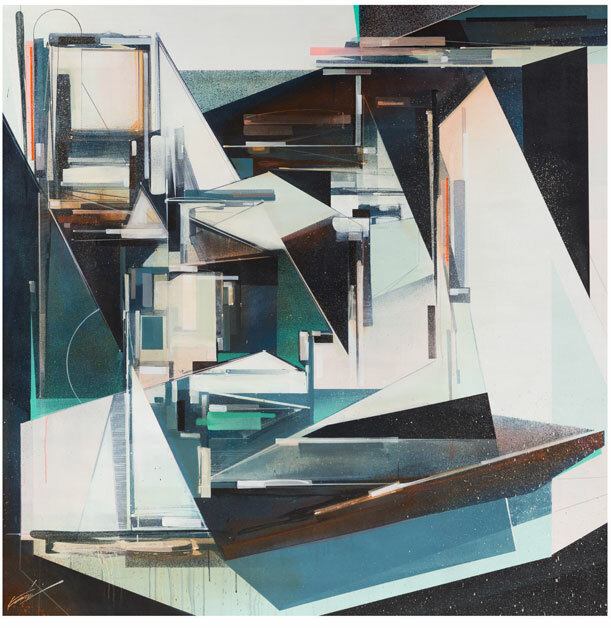 The Openspace Gallery is pleased to announce Build From Memory, the third solo show of the Los Angeles-based artist Augustine Kofie, which work is represented by the gallery since 2013 in France. 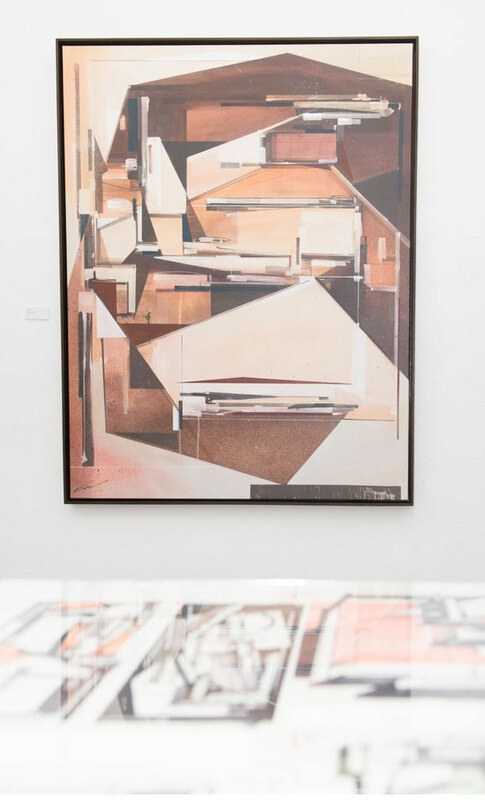 The title chosen for this new exhibition by Augustine Kofie’s showcasing 2016-17 new series of collage, painting and installation speaks to our human ability to acquire knowledge and repetitively apply it to the material world. We are defined by our ability to manipulate nature, and by our experience of being in time. What we learned and remember is essential to what we make. In this way, we make the future out of the past through our present action, through building from memory, reassembling a mutated, partially preserved set of fragments into something new. There is loss in this, but there is gain as well. This classic compositional element and representational strategy informs both collage and painting. “The collage is my drafting room, constructivist technique. It’s the finding, recovering, prepping—the mosaic, collage, and transformation of the materials. It’s the closest I can come to building a painting, using the material as a color, using paint only to accentuate what is already there.” Each fragment has been salvaged out of the destructiveness of time, each holds a memory, each is a portal onto a moment, each font or graphic or color opening onto a memory path.